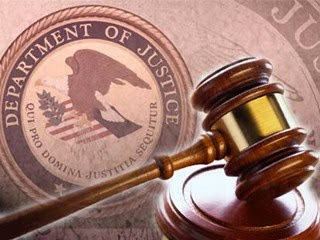 Fishenko, 10 other individuals and two corporations – ARC Electronics Inc. (ARC) and Apex System LLC (Apex) – were indicted in October 2012. Five defendants previously pleaded guilty, three individuals were convicted in October 2015 after trial and three individuals remain at large. ARC is now defunct and Apex, a Russian-based procurement firm, failed to appear in court. In 1998, Fishenko founded ARC and also served as an executive of Apex. Between approximately October 2008 and October 2012, Fishenko led a conspiracy to obtain advanced, technologically cutting-edge microelectronics from manufacturers and suppliers located within the United States and to export those high-tech goods to in Russia while evading the government licensing system set up to control such exports. These commodities have applications and are frequently used in a wide range of military systems, including radar and surveillance systems, missile guidance systems and detonation triggers. Russia does not domestically produce many of these sophisticated goods. Between 2002 and 2012, ARC shipped approximately $50 million worth of microelectronics and other technologies to Russia. ARC’s largest clients – including Apex subsidiaries – were certified suppliers of military equipment for the Russian Ministry of Defense. To induce manufacturers and suppliers to sell these high-tech goods to ARC and to evade applicable export controls, Fishenko and his co-conspirators provided false end-user information in connection with the purchase of the goods, concealed the fact that they were exporters and falsely classified the exported goods on export records submitted to the Department of Commerce. Ultimate recipients of ARC’s products included a research unit for the Russian FSB internal security agency, a Russian entity that builds air and missile defense systems and another that produces electronic warfare systems for the Russian Ministry of Defense. Today’s sentencing took place before Senior U.S. District Judge Sterling Johnson Jr. of the Eastern District of New York. Assistant Attorney General Carlin joined U.S. Attorney Capers in extending his grateful appreciation to the FBI’s Houston Field Office and the Department of Commerce for their leading roles in the investigation. The government’s case is being handled by the U.S. Attorney’s Office’s National Security & Cybercrime Section. The case is being prosecuted by Assistant U.S. Attorneys Richard M. Tucker and Una A. Dean of the Eastern District of New York and Trial Attorney David Recker of the National Security Division’s Counterintelligence and Export Control Section. Assistant U.S. Attorney Claire Kedeshian of the Eastern District of New York is handling the forfeiture aspects of the case.